How to convert photos to JPG? Thousands of people search for a perfect solution for years. The thing is that you can’t do much with RAW images on a regular computer. Windows doesn’t support raw natively, so you have to use a certain program. But with online service raw.pics.io photo conversion isn’t a problem any longer. We enable every computer using any platform to convert raw photos to JPG without any hassle at all. To quickly convert your images you need nothing but a modern browser like Chrome, Firefox or Safari. Our online converter and photo editor are free and don’t require registration for limited usage. All you need to do is just go to raw.pics.io (or edit.pics.io in case of an editor) and drop some of your photos. If you like what we do – check out Pics.io, which is a digital asset management solution in a cloud. One of the most common editing tasks is picture resizing, so we’ve built it right into our online converter. Just choose the right size of the output, and we’ll save your photo with dimensions you chose. 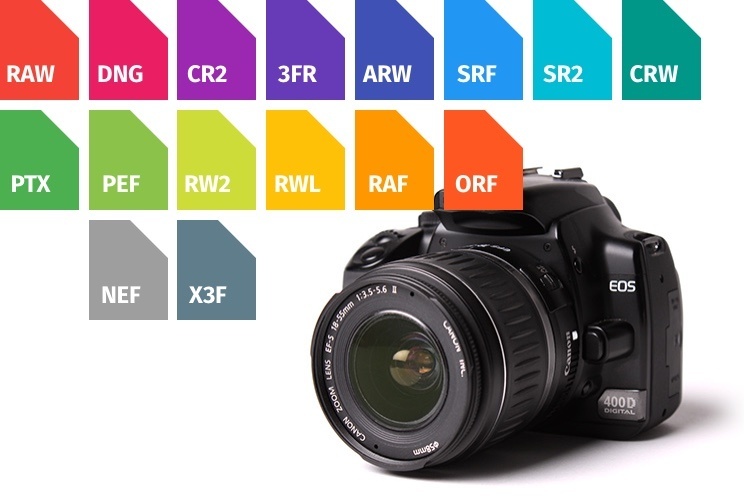 Oh, and since we support raw data processing for Canon and Nikon, you can also correct exposure of your photos. Once you converted your raw files, you can edit them in our online photo editor. 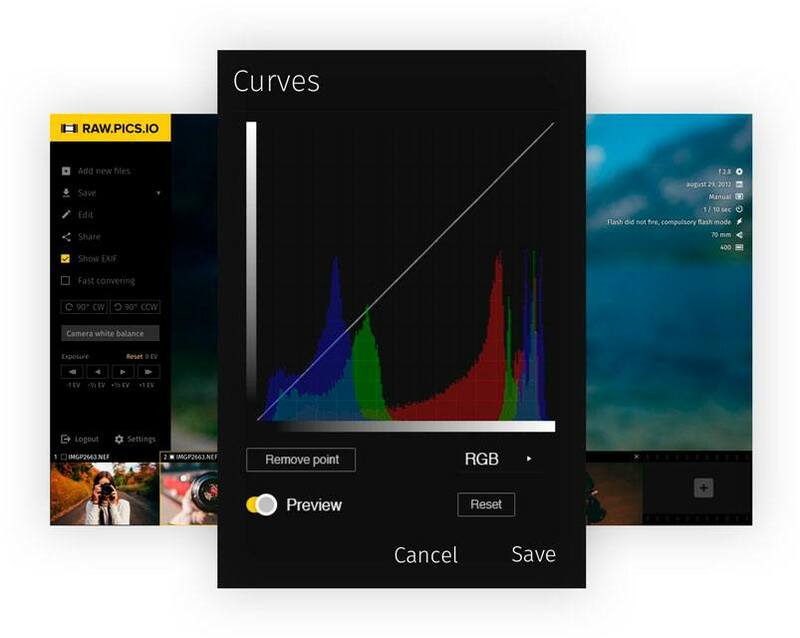 Crop, curves, and a number of more advanced adjustments are there for you. Canon, Nikon, Sony, Pentax, Olympus, Fujitsu. We support all popular models of cameras. 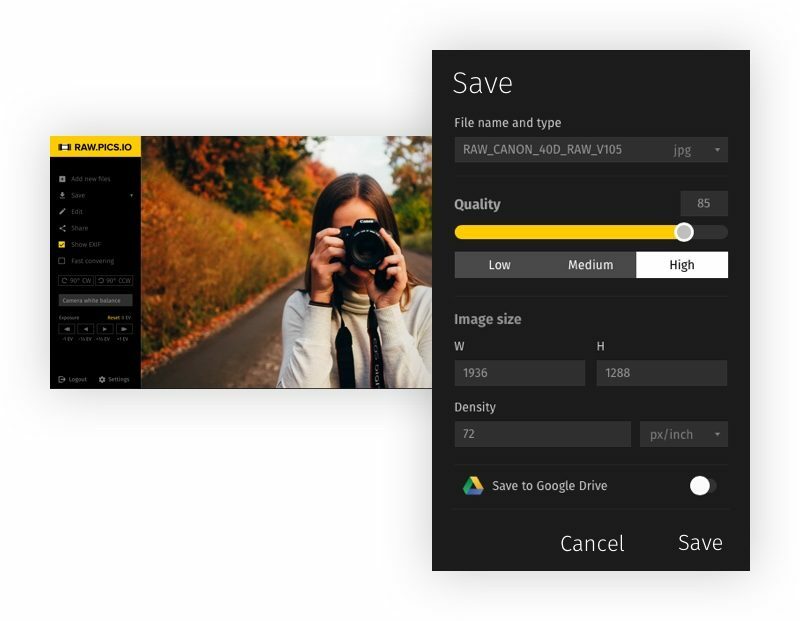 And if you have Canon or Nikon, we can treat your raw files just as desktop post-processing applications – read raw data and use it to develop a JPG output of immersive quality. We’ve built a technology for this from the ground up. Need to convert some photos? 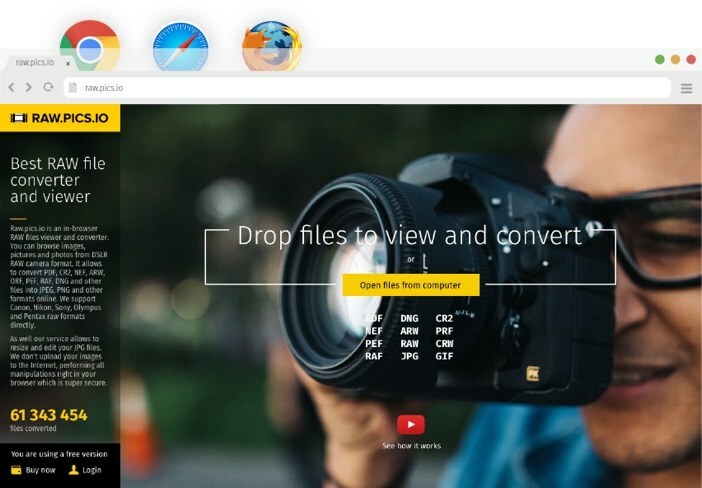 Online service http://raw.pics.io allows to convert photos to JPG. This is a short tutorial showing its capabilities: batch conversion, resizing, raw decoding. Choose processing options such as size, format, etc.